Leopard & Sequins: Why should I be the next WhatsTrend Blogger?!?! 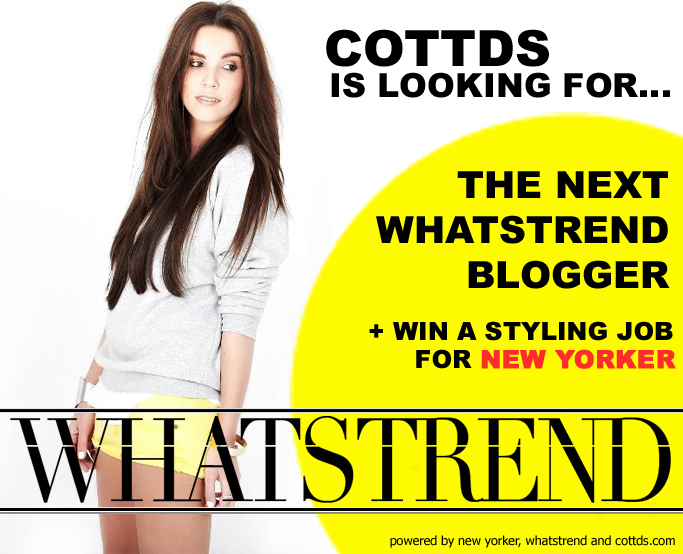 On the WhatsTrend website you get your daily fashion shot from all the different bloggers like Mode Junkie, Mode d'amour and The Styleograph and now there is the chance to become one of them! I know I just started blogging, but what a great oppurtunity to have a chance to be in such great company as a newly blogger =)! So.. why should I be the next WhatsTrend blogger? I should be the next WhatsTrend blogger, because I would love to inspire people with what inspires me and this doesn't necessarily only means fashion, but also beauty and lifestyle. I know that I get inspired by watching other bloggers post and now I would like to "give" back.